2018 Camp Improvements! 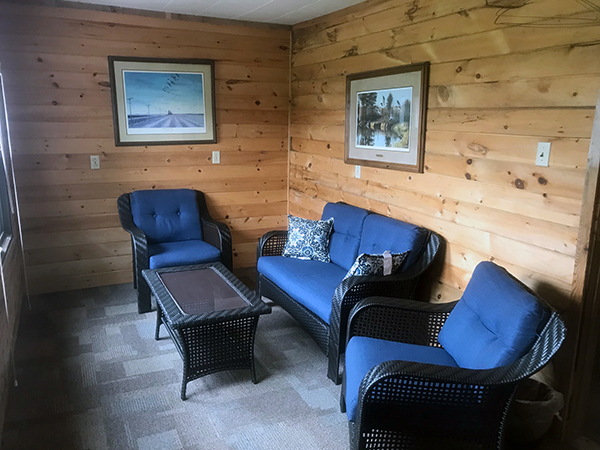 A "boat load" of improvements and upgrades are coming to the Silsby main lodge and guest cabins in 2018. We have already made some of the improvements this spring, including oil burning heaters for 24 hr. 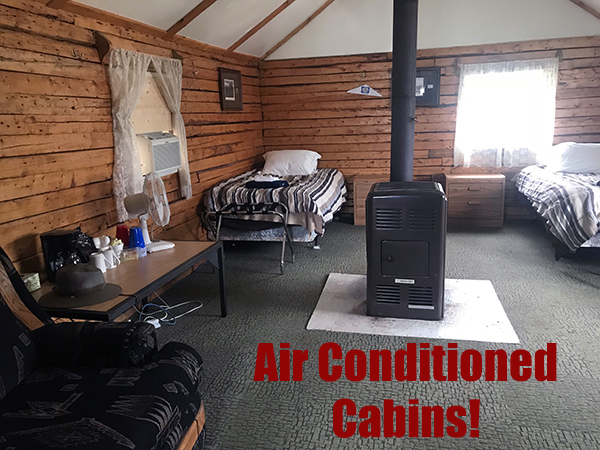 constant heat and air conditioners in the guest cabins. 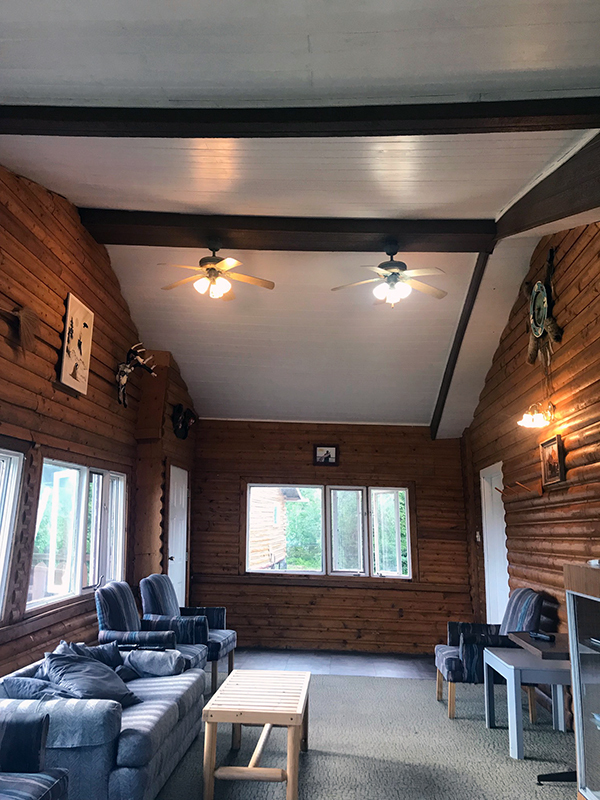 Additional improvements include new ceiling on the main lodge, upgraded bathroom fixtures, new docks, lounge and patio furniture, and much more. 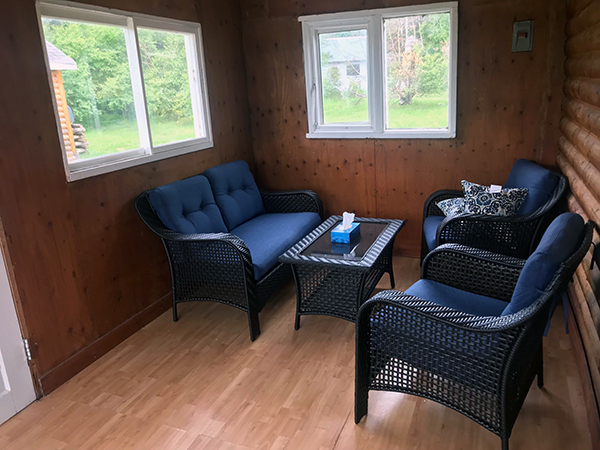 We have 5 fully insulated log-sided cabins and all have screened in verandahs. Heat is provided by oil burning stoves for round the clock comfort. On those chilly days the staff will start the stove so you come home to a warm cabin. All cabins have carpeted floors and sitting rooms for your comfort. All bathrooms are private with flush toilets, sinks and hot showers. 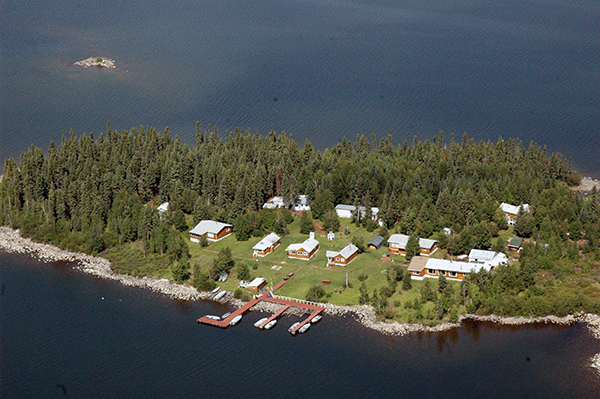 The Cabins have separate bedrooms with two beds in each. All bedding is provided for you. 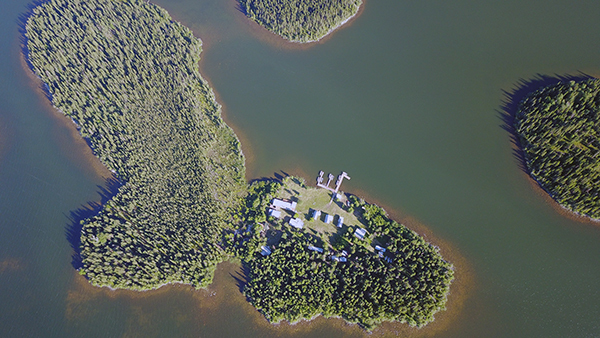 Each day our housekeeper will come in and clean your cabin while you are out fishing. All of our docks are close to the water and very stable to make it easier for physically challenged people to get in and out of the boats. There is always staff on hand to greet and assist you if needed when you come in from a long day of fighting trophies. The main lodge building houses the dinning room and lounge area with gorgeous views of Silsby Lake. At night our guests enjoy sitting in the lounge while watching the ball game or playing cards. If you need to tackle a few work projects while at Silsby, the lounge also features a full office setup including WIFI, satellite phone, widescreen laptop, printer, scanner and copier. ALL FREE OF CHARGE AND AVAILABLE 24 HOURS A DAY. We also have a commissary that is well stocked with snacks, cigars, beer, bottled water and soda. There is a large selection of the fishing tackle available for purchase. In addition the commissary has a complimentary ice machine for your use. 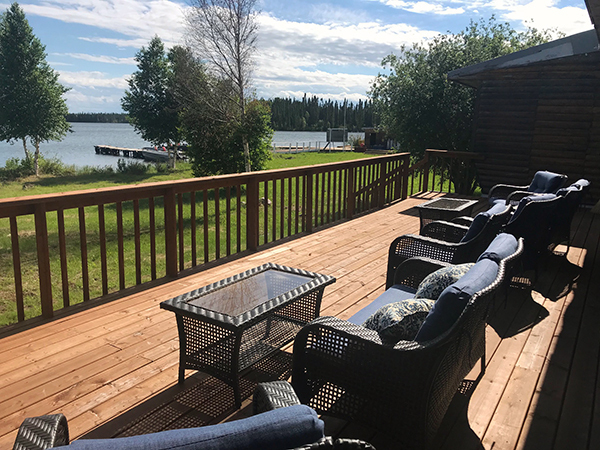 After a long day of fishing there's nothing better than delicious hot meal and at Silsby Lake Lodge we take great pride in serving you A home cooked meal. All meals are served waitress style by our servers in the dinning room of the main lodge. We have a good selection of wines that we serve to match the entree for the evening - FREE OF CHARGE. Breakfast is served in the dinning room at 7:00 am with a large selection for you to choose from...eggs, omelettes, pancakes, bacon, french toast, sausages, hasbrowns and of course Red River cereal. In addition we will always have a fresh fruit basket as well. Fresh fruit juice and coffee will also be served. 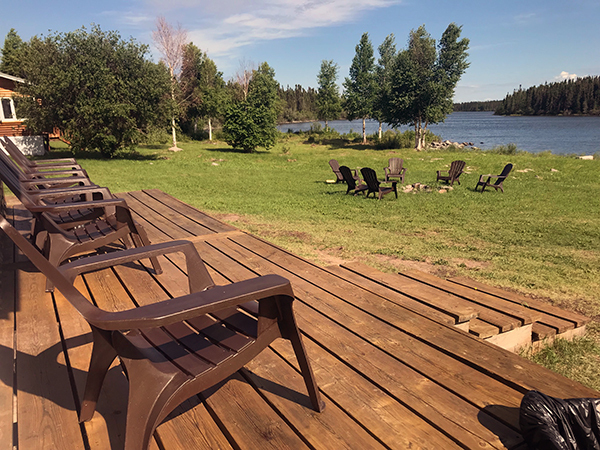 Lunch will be shore lunch on the lake with all of the fixings prepared by your guide including the catch of the day, potatoes, onions, vegetables and homemade Bannick. Your guide will prepare the fish fried in Canola oil or baked over the open fire. Dinner is home-style cooking with homemade bread and rolls. Typical main course selections include: Prime rib, Roast beef, Roast pork, Turkey and NY strip steaks. Our food program doesn't end with dinner. Should you require a late night snack just ask and the staff will deliver a tray of cheese and crackers or fresh fruit to your cabin. You should never be hungry while you are with us!!!! Each day brings new hopes and adventure and after a nice deep sleep dreaming about the trophies that await you, it's time to wake up and make your dreams a reality! Our staff is up and about before you awake getting ready to make your day of trophy pike fishing enjoyable and exiting.